Home Top News Did We Just Discover The Secret Behind The 2,000-Year-Old Preservation Of The Terracotta Armys Weapons? Since its discovery in the 1970s, the pristine preservation of weapons buried alongside the 2,000-strong Qin Terracotta Army of Xi’an has stumped scientists. 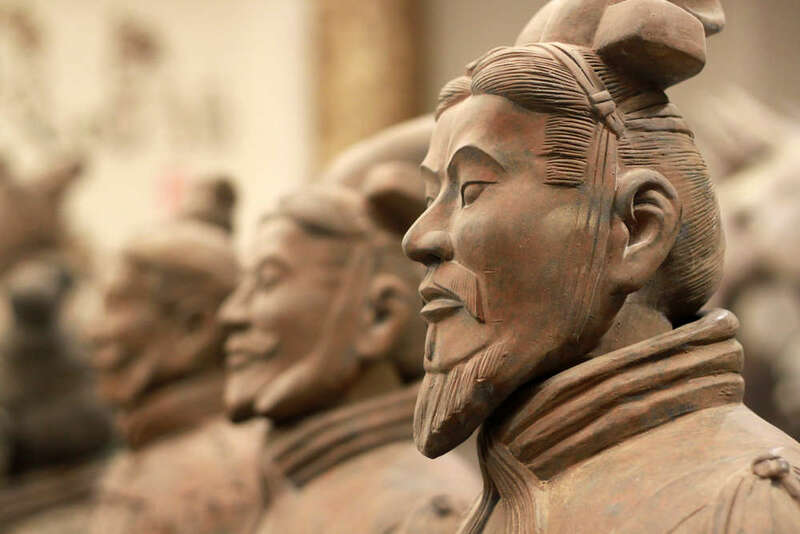 Despite their protective positioning within the mausoleum of China’s emperor Qin Shihuang for more than 2,000 years, neither the warriors nor the bronze components of their weapons have decayed much. 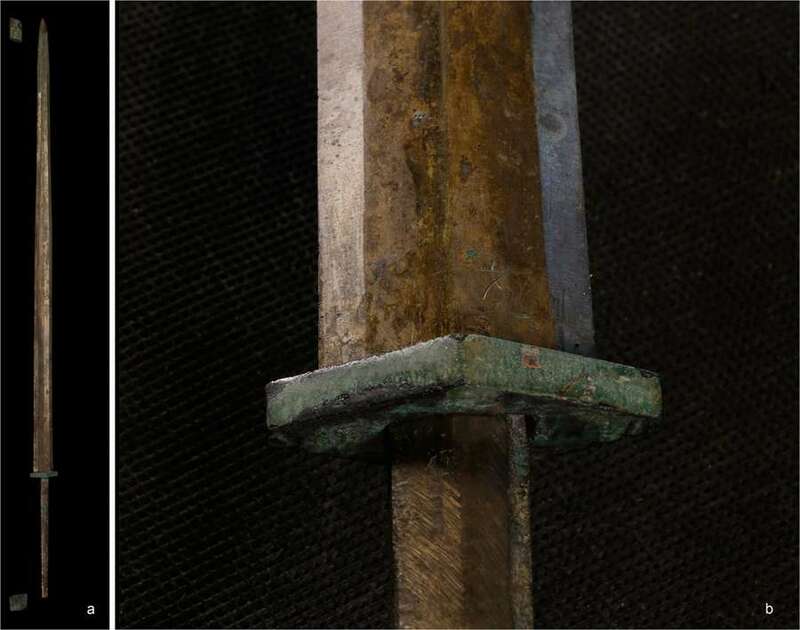 For decades, scientists believed that Qin weapon-makers had developed an advanced anti-rust technology, known today as chromate conversion coating, based on the detection of chromium traces on the surface of bronze weapons buried with the soldiers – a technology only patented in the early 20th century and still in use today. Publishing their results in Scientific Reports, a team of researchers now suggests that this theory should “be abandoned”. Instead, the incredible metal preservation probably results from the Xi’an soil. The team analyzed 464 weapon parts and found that less than 10 percent had traces of chromium – a find they say confirms that the presence of the chemical is not universal and was not an intentional preservation technique but rather a decorative one. As for that novel anti-rust treatment? Researchers say it was simply the result of contamination from decayed organic matter. “We found a substantial chromium content in the lacquer, but only a trace of chromium in the nearby pigments and soil – possibly contamination,” said lead author Marcos Martinón-Torres in a statement, adding that the highest traces of chromium found on bronzes was always on weapon parts directly associated with organic materials, such as those made of wood and bamboo, that have since decayed. For these weapons, the chromium treatment would have provided a lacquer decorative coating rather than an “ancient anti-rust treatment”. The team notes that the moderately alkaline pH soil found at the site likely contributed to the stellar preservation. To confirm, they simulated replica bronzes in an environmental chamber. Those buried in soil from the Xi’an site remained in near-perfect condition even after four months of extreme temperature and humidity, compared to the severe corrosion seen in bronzes buried in British soil. Though promising, study co-author Xiuzhen Li notes there is still a possibility this ancient society developed some sort of novel technology. “The high-tin composition of the bronze, quenching technique and the particular nature of the local soil go some way to explain their remarkable preservation but it is still possible that the Qin Dynasty developed a mysterious technological process and this deserves further investigation,” he said. Over 2,000 ceramic warriors have been excavated since their discovery over 40 years ago and it’s estimated that several thousand more remain. They were armed with fully functional weapons made of bronze, including spears, lances, swords, hooks, as well as more than 260 crossbow triggers and as many as 40,000 arrowheads (100 were typically found in the quiver of one warrior).